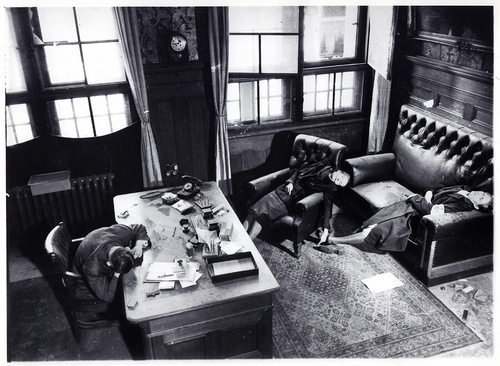 Her great image of a scene in a Nazi office; the functionary at his desk and his secretaries have killed themseles rather than face the arriving Americans-- they feared they would be tortured. Early print (does not fluoresce) with Paris Match stamp. Other notations and measurements, including [later?] Time-Life Credit stamp.